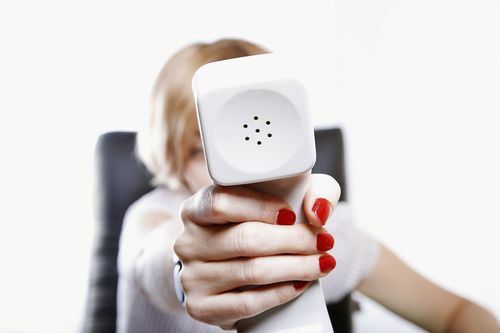 Have you ever received a call from a sales person and they pretended you’ve met even though you knew you hadn’t? Or maybe they told you something they knew about you, however, the information was wrong. At what point did you end the call? Probably pretty quick. At that point, I’m assumed she’s confused me with someone else and called the wrong person. It happens, we all make mistakes from time to time. I politely stopped her and told her she called the wrong person. She asked the name of my company and when I told her, she said, “Yes, Nikki Rausch at Sales Maven.” Then she jumped into her sales pitch again. Wow, what a terrible way to start. Her credibility was shot. She had no relevant context for her call other than she wanted to sell me something. She obviously didn’t know me. She couldn’t even say how she got my name, company name or phone number. A complete waste of a sales call especially since it’s so rare to get anyone live on a call nowadays. Had she been prepared with accurate information, I may have been open to participating in her event. Why would I invest time and money with someone who’s already demonstrated accuracy is not important to her? Could I trust her to follow through on what she says she’ll do? As a business owner, I’m not willing to take a risk and spend money with someone who not only has a bad start to the conversation but doesn’t even acknowledge it and keeps trying to sell me. 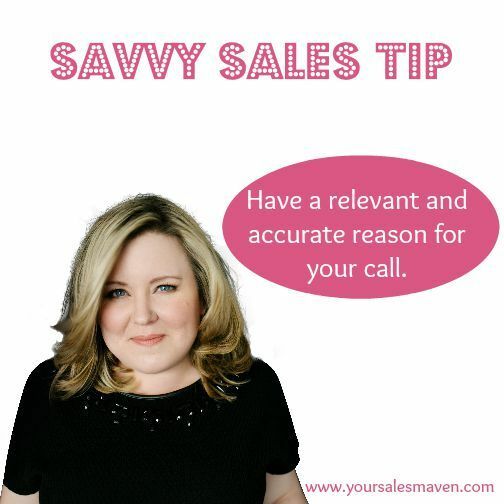 This week’s Savvy Sales Tip: You have so little time to make an impression, set yourself up for success by having a relevant and accurate reason for your call. Check your facts to ensure you have accurate information before contacting clients. Step 1: Check your facts. If you’re unsure about your information, look at the clients website, social media sites, etc. When you get a client live on a call, you want to be credible and establish value for the client. Step 3: For the times when it turns out you have inaccurate information, acknowledge it, apologize and move on. Winging it isn’t a successful strategy no matter how good you think you are at selling. A lot happens in the first 30 seconds of interacting with a client. In my 5 week Savvy Selling Class I teach what kind of judgements people make, how quickly they decide about your trustworthiness, and much more in the first 30 seconds of interacting with you. You might be surprised at how critical this time is for determining your success. Please be prepared and set yourself up for success in your sales calls. Wishing you a successful sales week. I surprise how a lot effort you place to create this type of excellent informative web site. Thank you. My information comes from 20 years of sales experience. Glad you enjoyed it. Glad to hear you got something valuable from it. Thank you. The posts are meant to be brief and easy to implement.